Listening to news, watching films and reading English newspaper- are some of the ways that help Hong Vna, Lam Dong develop 2 English skills- listening and reading. Having been exposed to English since sixth grade, from early days, teacher Pham Thi Hong Van (Van Sky) who was born in 1985, Lam Dong was interested in this subject. At home, she used to learn English vocabulary by traditional methods such as writing new words, then using sticker notes everywhere in the house but those ways of learning did not help her to practice pronunciation as well as listening and speaking. That was the reason why she pronounced many words wrong and she only realized that when she went to the university. Recognizing the importance of pronunciation, Van Sky tried to study by many different methods like watching films, listening news in English. 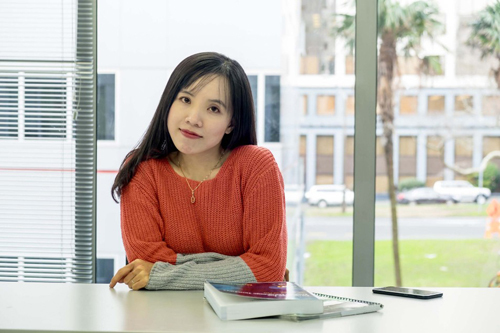 As a result, she has achieved Ielts 8.0 Overall and she is currently an oversea student as well as a teacher teaching foreign language in New Zealand. Ms. Pham Thi Hong Van (Van Sky) was born in 1985, Lam Dong has mispronounced a lot of English words. “You should actively listen to foreign news channels like CNN, and BBC. At first, you cannot understand what native speakers say, but let yourself bathe in English environment. After some time, you should spend a minimum of 15-20 minutes every day to concentrate on keywords in listening”. Van Sky said about the way to improve listening skills. 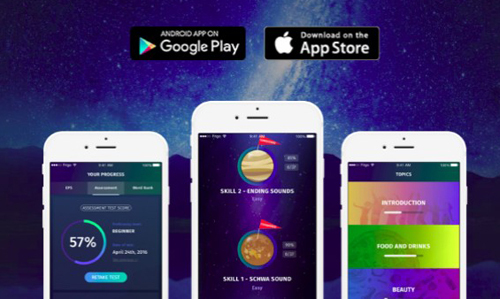 In addition to ways mentioned above, Van Sky also shared the secret to create a speaking environment, that using Elsa software- an application that helps practice English pronunciation with the ability to identify and analyze voice. “With ELSA, I choose speaking lessons that are suitable with my level, as well as the topics I like to practice daily”, Ms. Van said. This application is suitable with Vietnamese people because it uses AI (artificial intelligence) with the software built and based on huge data from Vietnamese users. When using it, learners will receive a detailed analysis for their pronunciation, correct each syllable as well as the way to press, and also be specially instructed to correct common errors. I am interested from the first minutes because the application was too good compared with reading correctly in the first sentence then moving to the next sentence. Since knowing Elsa, I have not only developed listening and speaking skills, but also reached the level of accurate distinction of intonation characteristics of American-English accent, compared with English and Australia accent…From then, I have also encouraged students to use Elsa like an effective tool to improve pronunciation”, Van Sky said. Now she is an overseas student and a foreign language teacher in Abacus Institute of Studies and Cornell Institute of Business and Technology in New Zealand. Her students come from differnet countries such as Brazil, China, and Korea…When someone pronounces wrongly, teacher Van encourages them to use voice recognition software of Elsa to learn more when they study at home. Looking back on the roles of learning English language on her journey, Hong Van asserted: “English will bring you opportunities that you cannot imagine. More than that, anyone can learn to become fluent English.